How do I add my doubles/team partner? Go to the Dashboard on the tournament details page. To access the dashboard, go to the smash.gg tournament homepage and click on the Blue "Manage" button. On the top side of the page you will see the events you are registered for. Click on the "View Event" button. From there, you will want to click on Manage Registration when it pops up. 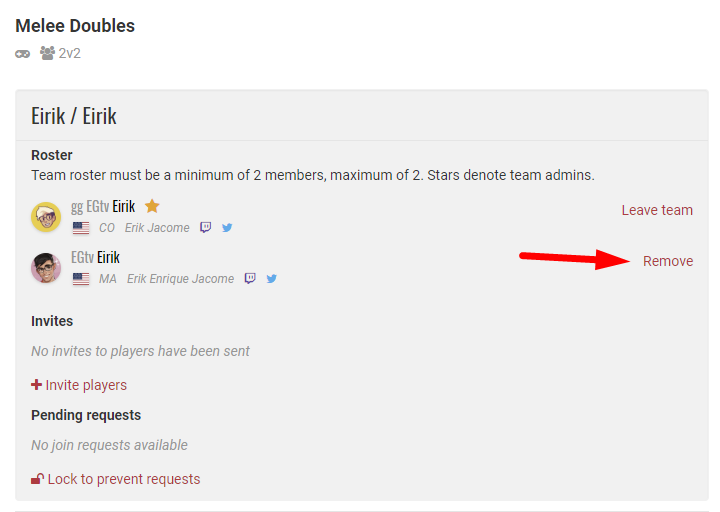 Once done, you will be able to add teammates towards your team and complete your registration. Find your partner by searching in the drop-down list, then click Send Invitation. Your invitation will send an email to your partner, and show as pending as well. Go to Manage Registration on the tournament details page and click Manage.